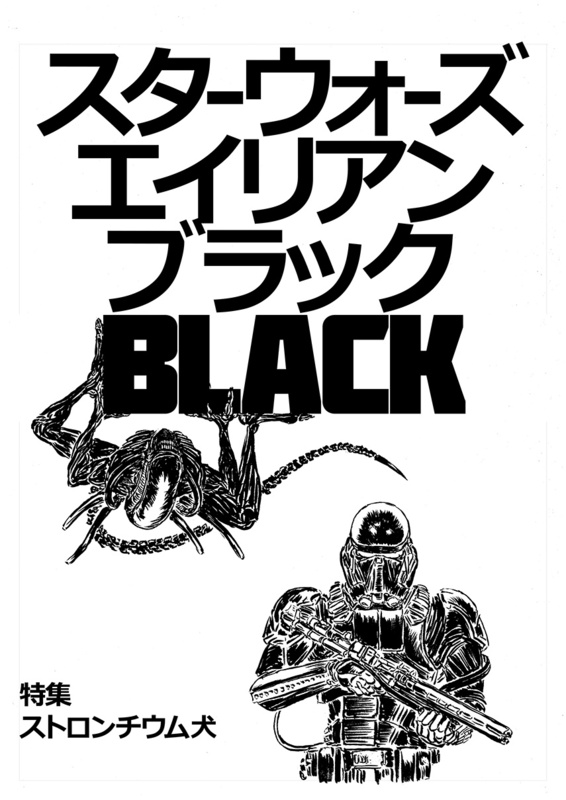 'Black' is inspired by the common practice in Japan of creating fan manga, known as doujinshi; i.e. 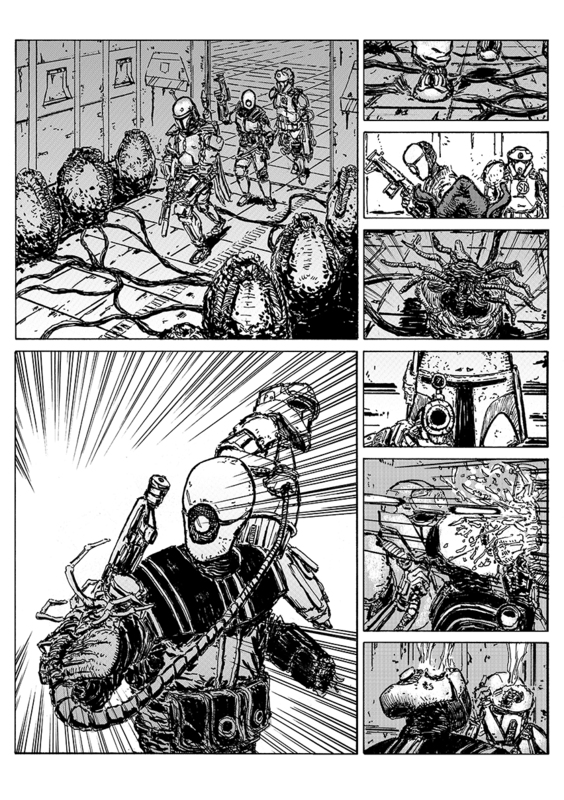 taking existing properties and creating unique stories. 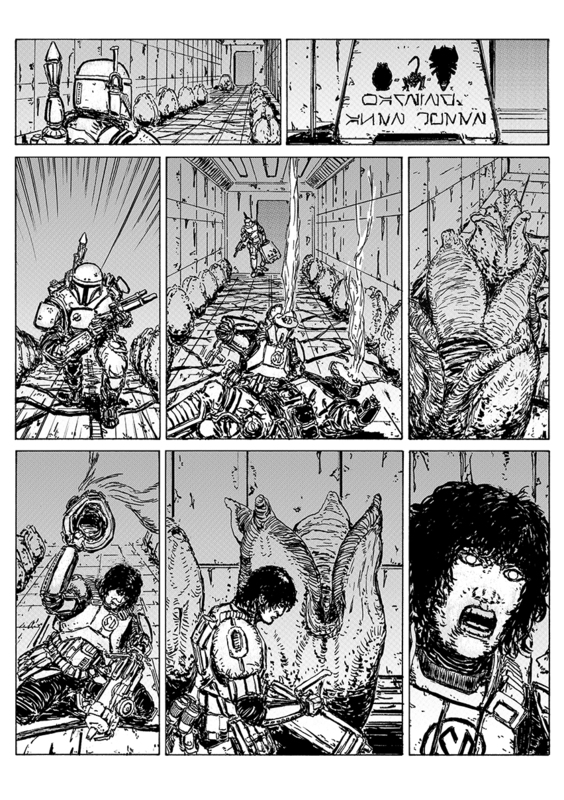 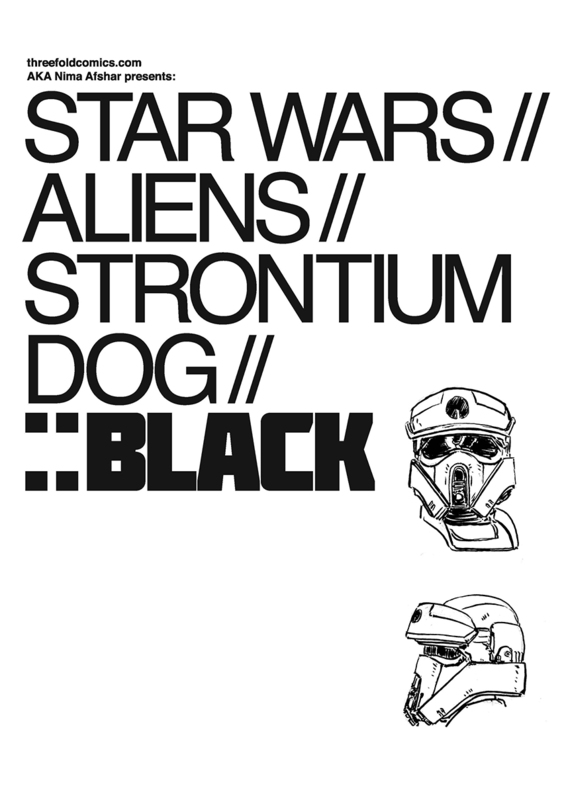 This one mashes up the Star Wars, Aliens, and 2000AD character 'Strontium Dog'. 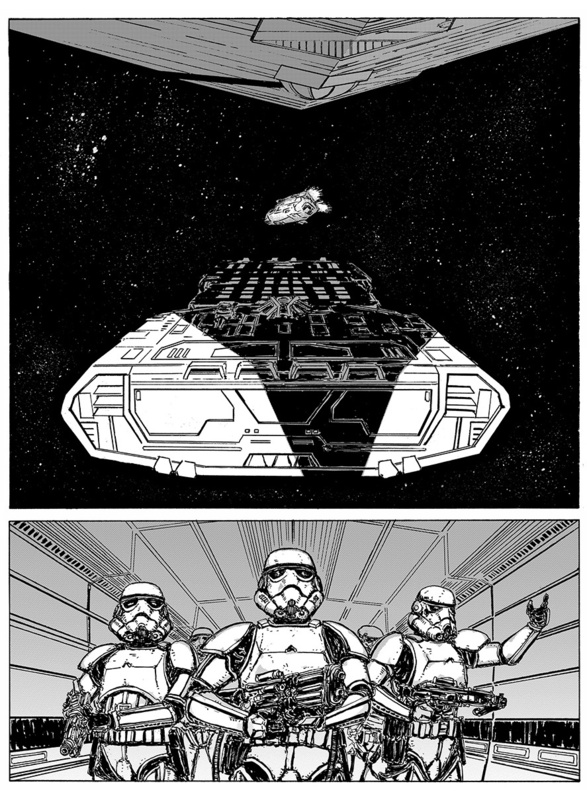 Nima Afshar is a trained graphic designer who studied at the National Art School. 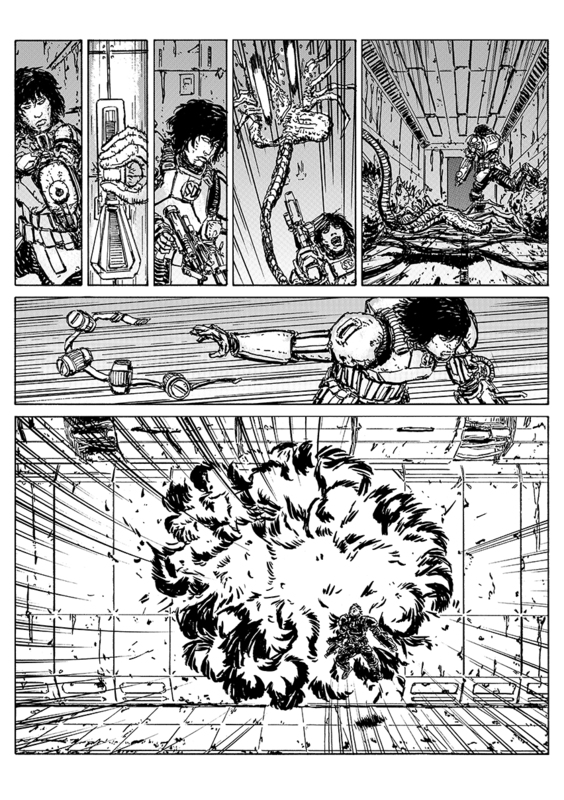 Nima also writes his own work; personal sci-fi and weird fiction comic stories that are reflective and/or mythic in nature. 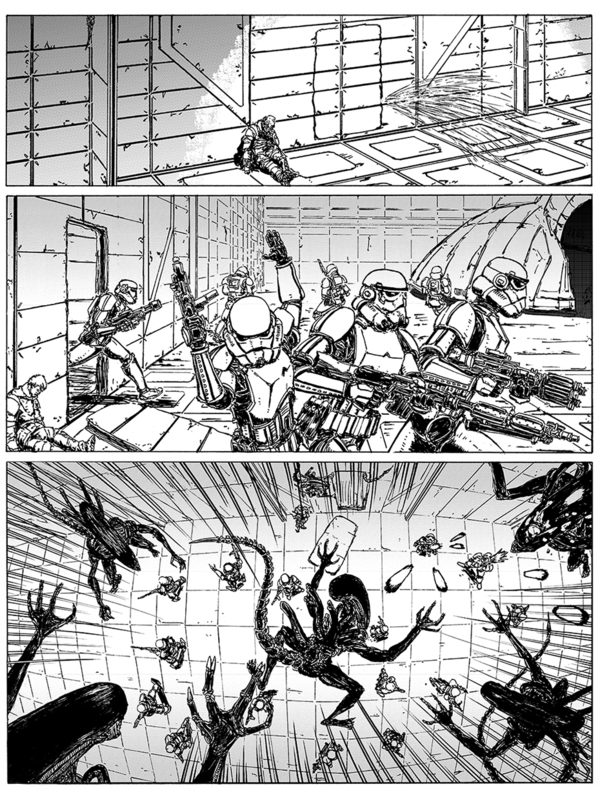 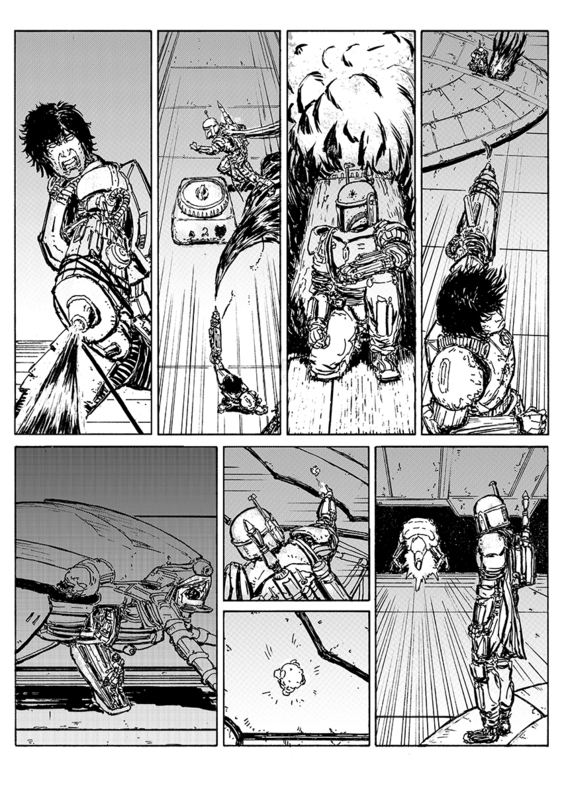 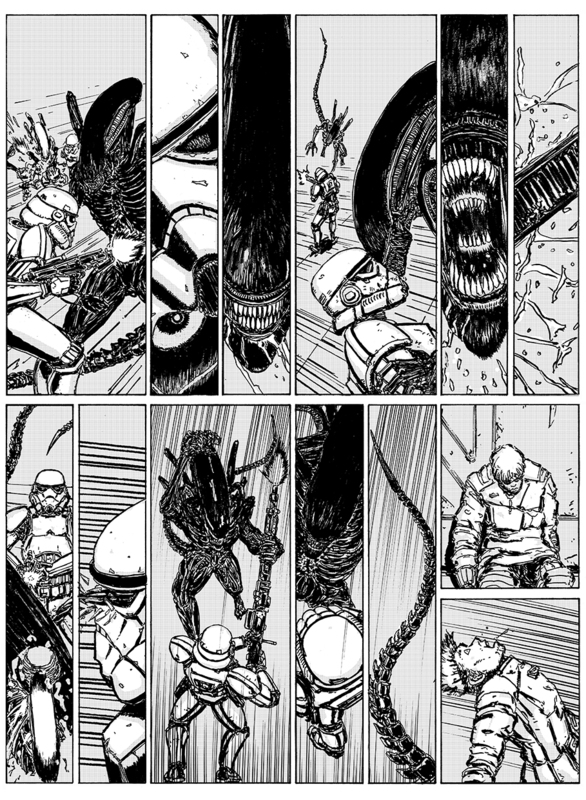 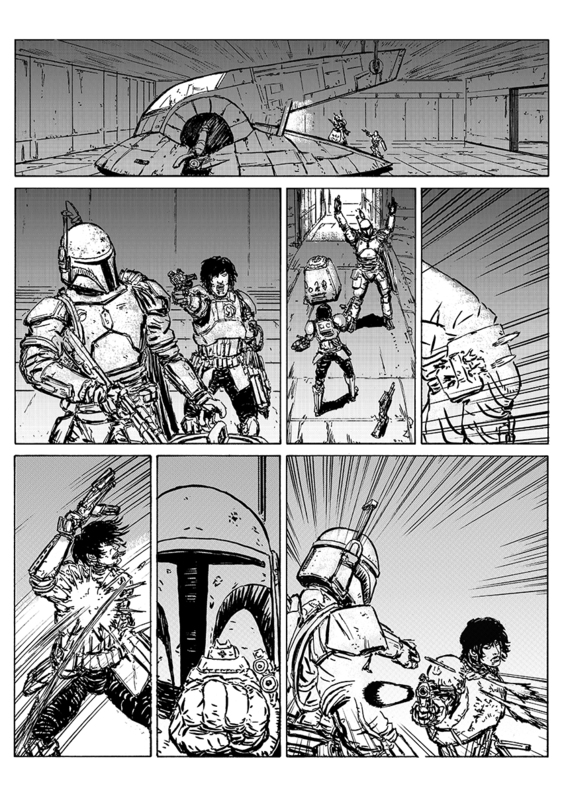 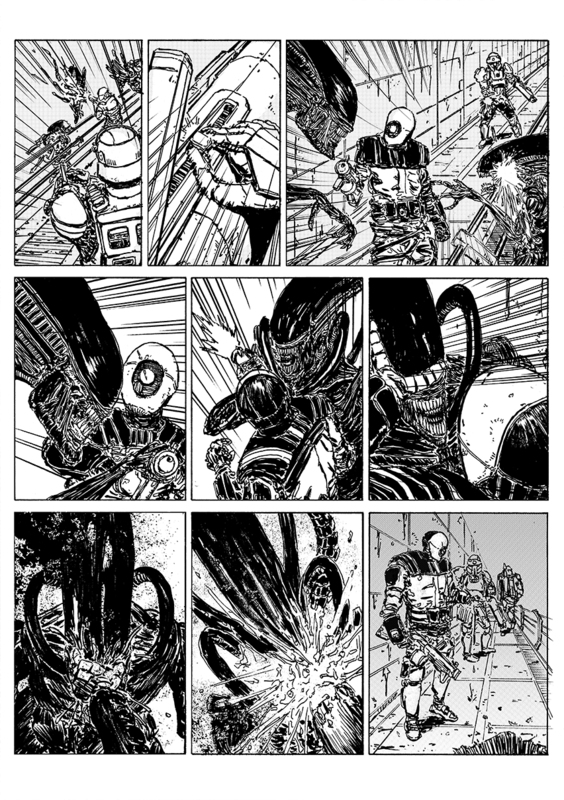 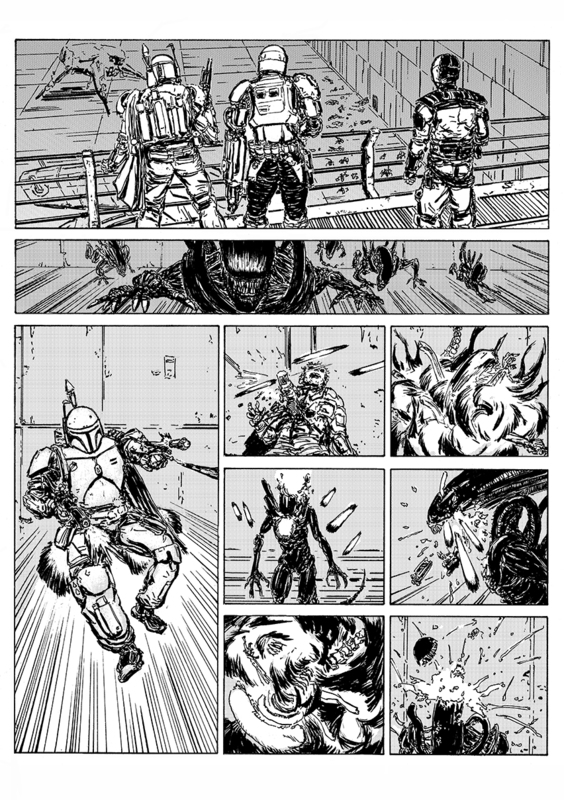 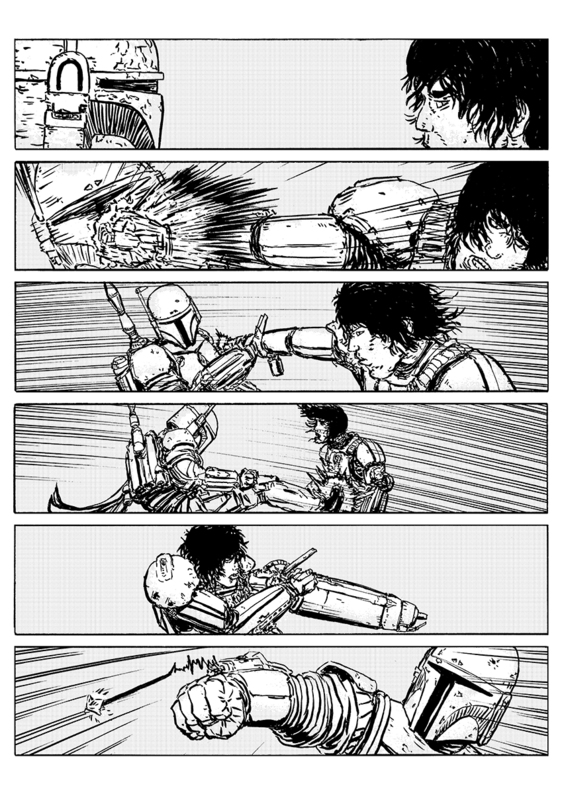 His love of sci-fi was the genesis of this mash-up that even without words conveys a thrilling action sequence rendered in black and white that's as enthralling as any mainstream comic. 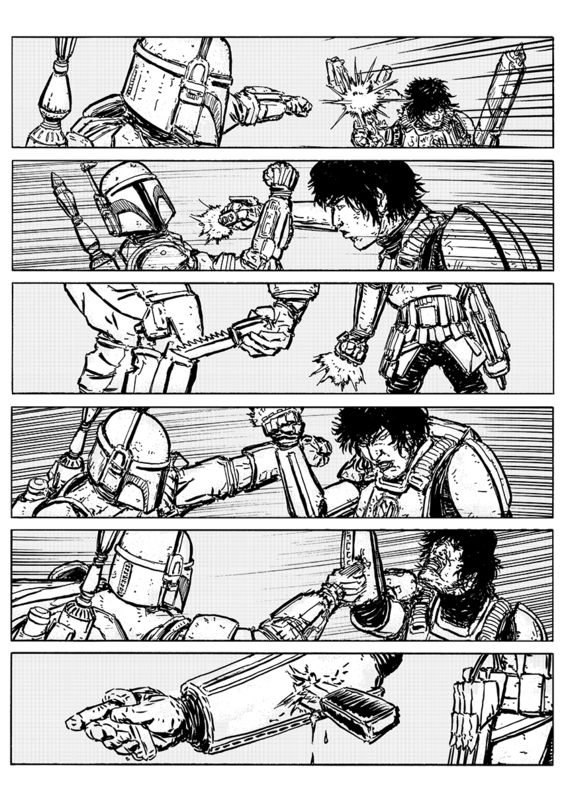 This fan-fic piece comes just in time for Star Wars Day, May 4th aka "May the Fourth Be You."